Stephens Automotive is a full-service automotive business that is known to be the best in Illinois with timing chain repair services. If you need a timing belt repair or a timing belt replacement contact the best in the industry, Stephens Automotive! A timing chain replacement can be expensive, and Stephens Automotive has affordable prices that meet the needs of our customer’s budget. Our 5 ASE Certified Technicians can replace a timing belt on any make or model. Stephens Automotive has more than 2,000 satisfied customers. If you are in the Arlington Heights area and need a timing belt replacement or would like us to check your timing chain, call the professionals at Stephens Automotive. Arlington Heights is a village in Cook County, Illinois. A suburb of Chicago, it lies about 25 miles northwest of the city’s downtown with a population of approximately 75,101. Arlington Heights is known for their Arlington Park Race Track, home of the Arlington Million, a Breeders’ Cup qualifying event. Stephens Automotive is more than happy to assist our Arlington Heights customers with their timing chain repair or timing belt replacement. We are a dependable company with certified technicians who are experienced with timing chain replacements and repairs. 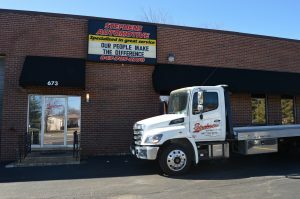 Stephens Automotive has over 100 years of combined experience. If you need a timing chain replacement or a timing belt repair call the best, Stephens Automotive! Allow Stephens Automotive to perform a routine maintenance check to keep your vehicle up and running. Our expert technicians have the experience and skills to complete a thorough maintenance check on your truck, saving you money down the road. Call Stephens Automotive at (847) 705-8770 today to schedule your appointment.